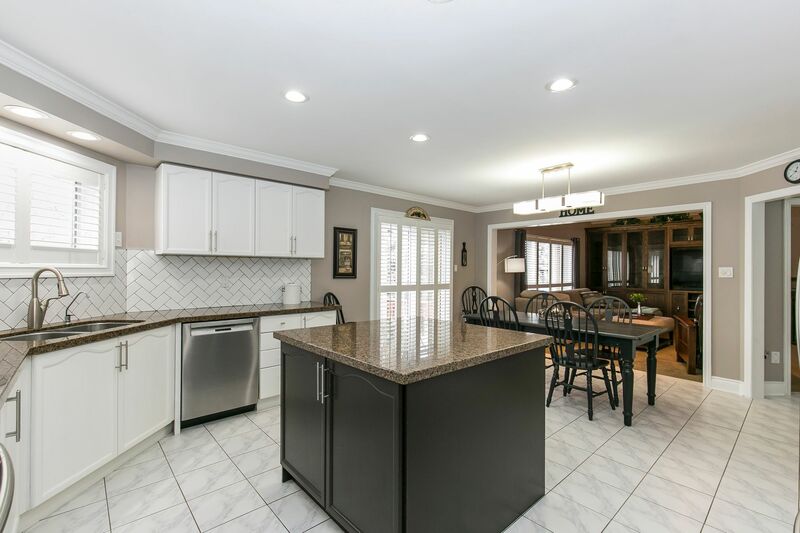 Much Desired Southeast Georgetown Gem on a 50 foot lot is Updated, Upgraded and Ready for Your Family. 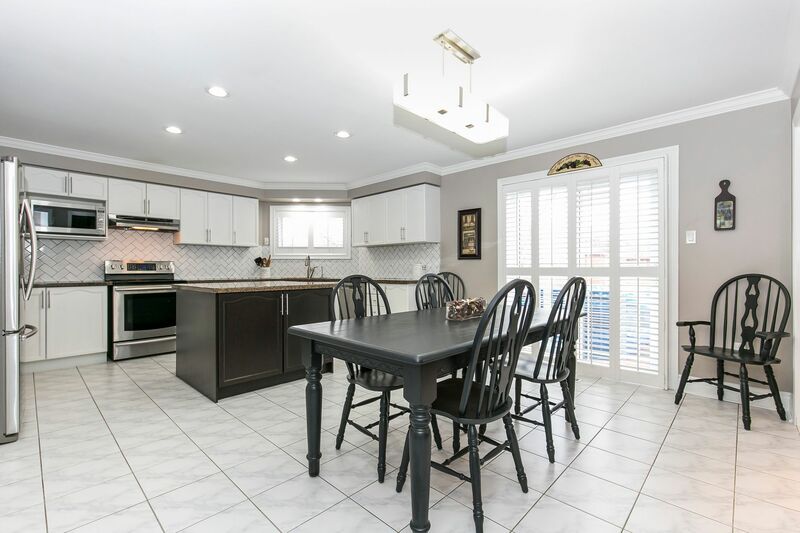 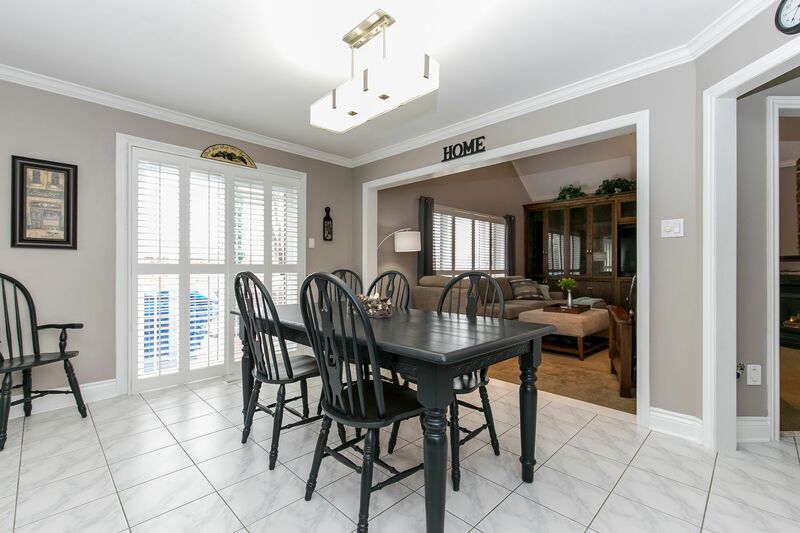 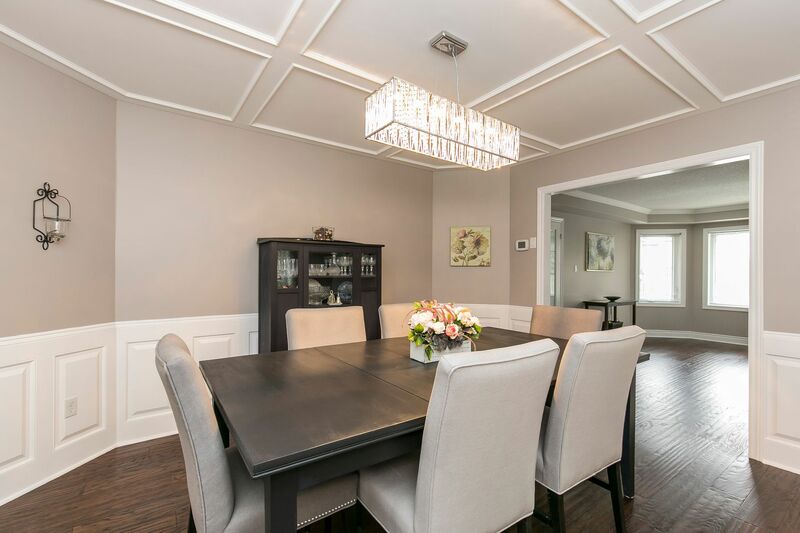 This tastefully decorated 5 bedroom, 5 bathroom home has more than 4300 square feet of finished living space for the growing or extended family. 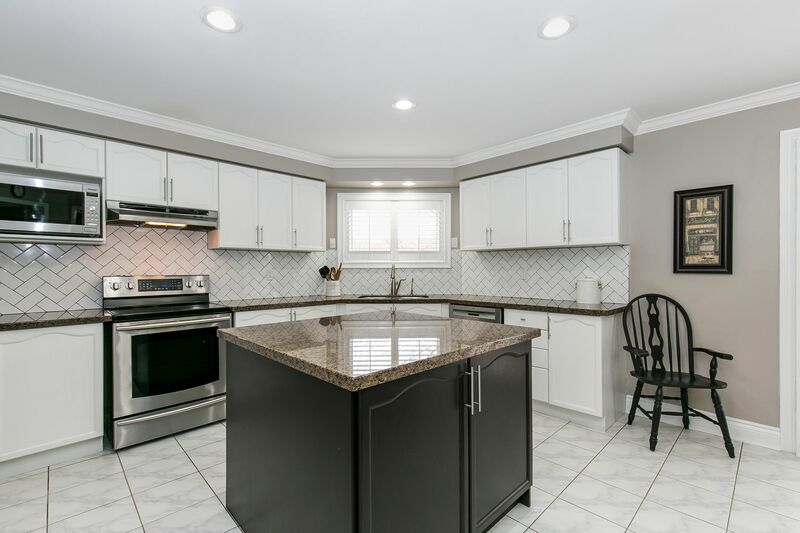 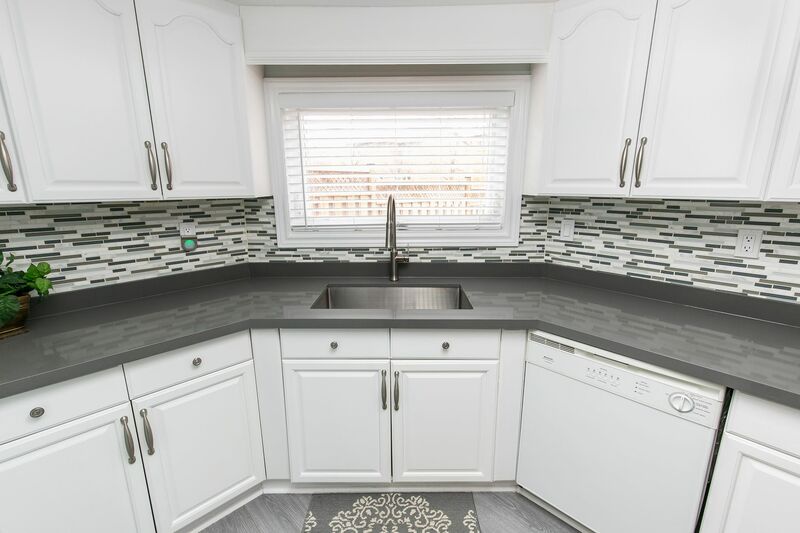 The main floor has a huge eat-in kitchen with stainless steel appliances, granite counter tops, large pantry, centre island and walk out to the 200+ square foot raised deck with yard access. 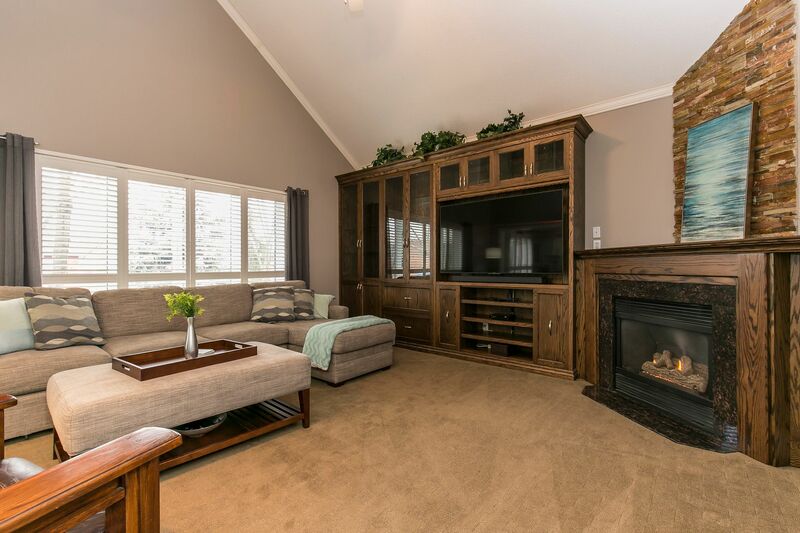 The kitchen opens to the vaulted ceiling Great Room with gas fireplace and custom built cabinetry covering one whole wall. 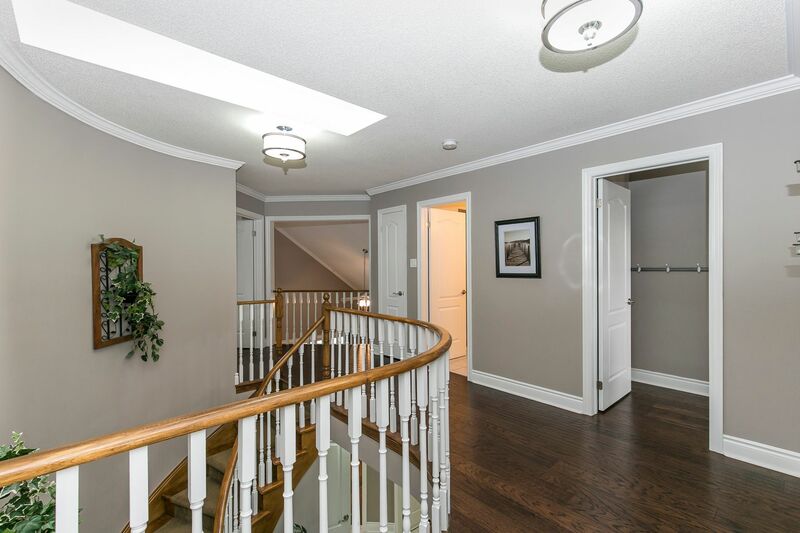 The formal dining and living rooms as well as the spacious foyer with new entrance door system, oak staircase and skylight give this home noticeable distinction and character on first entry. 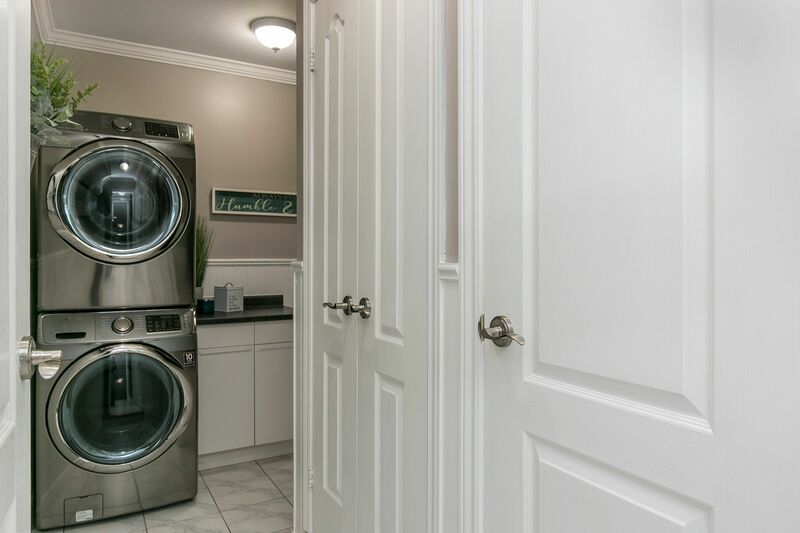 If ones chooses to enter via the inside garage entry or side door from the yard to the mudroom this gives you direct access to the main floor laundry and the second staircase to the finished walk-out basement. 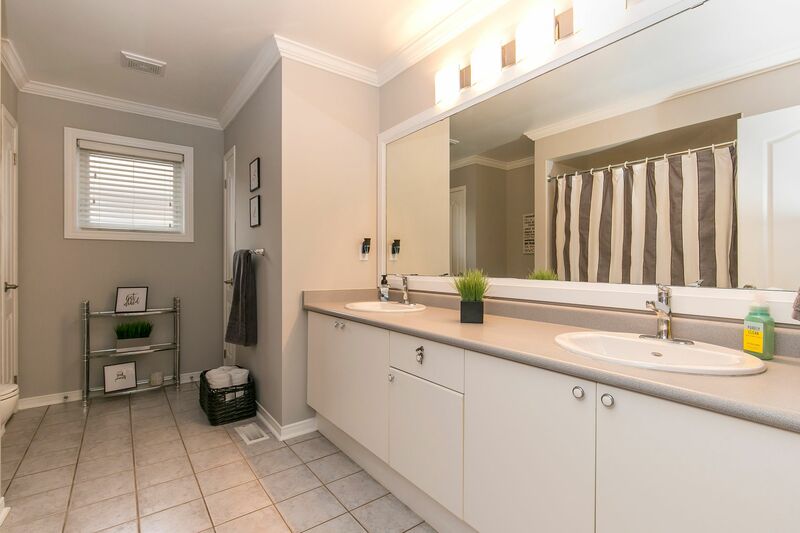 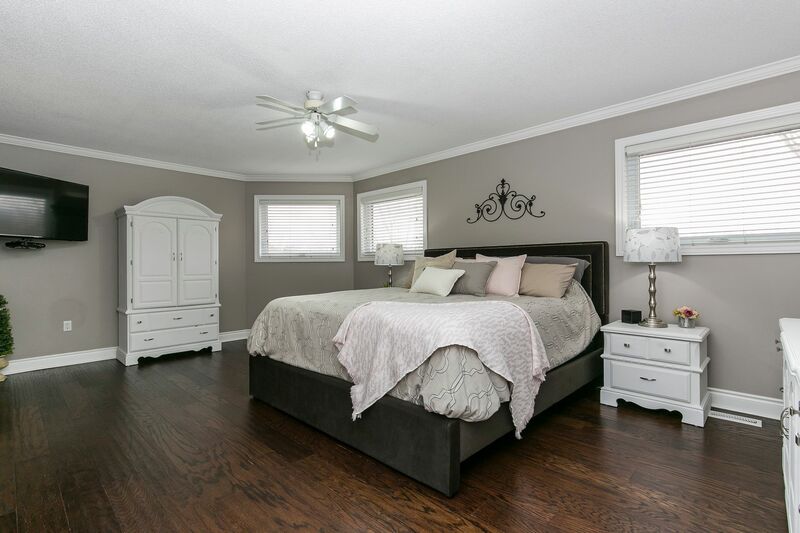 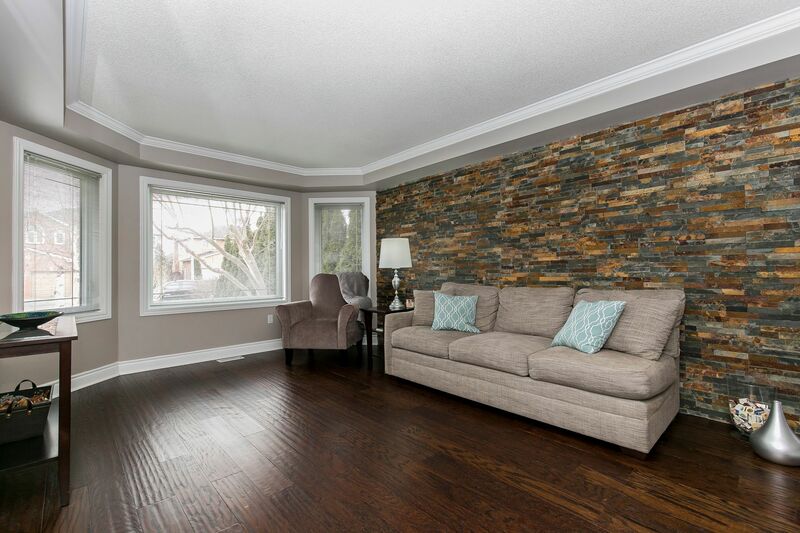 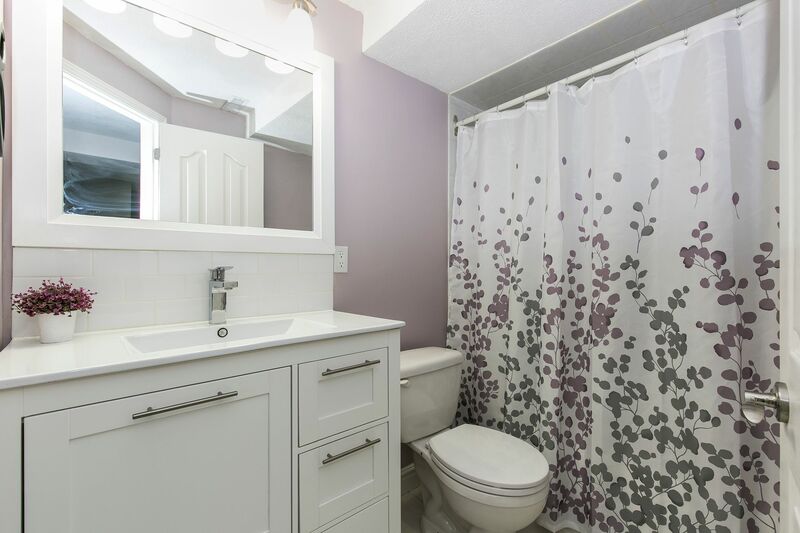 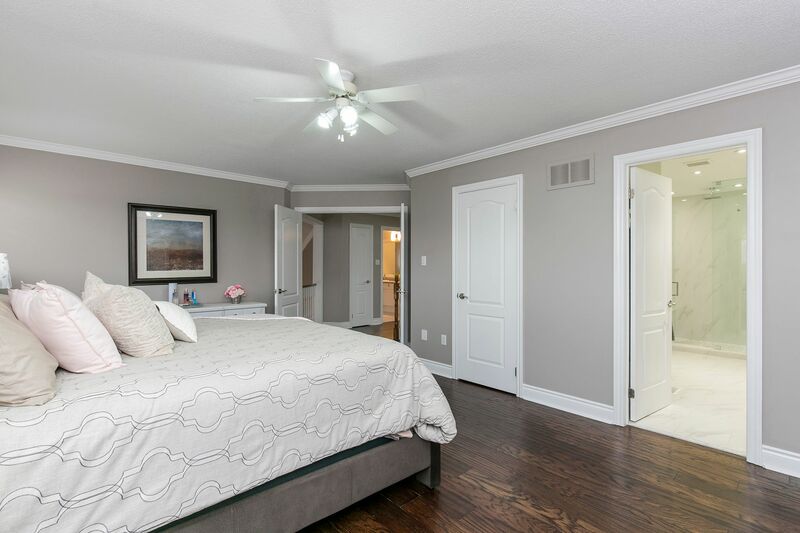 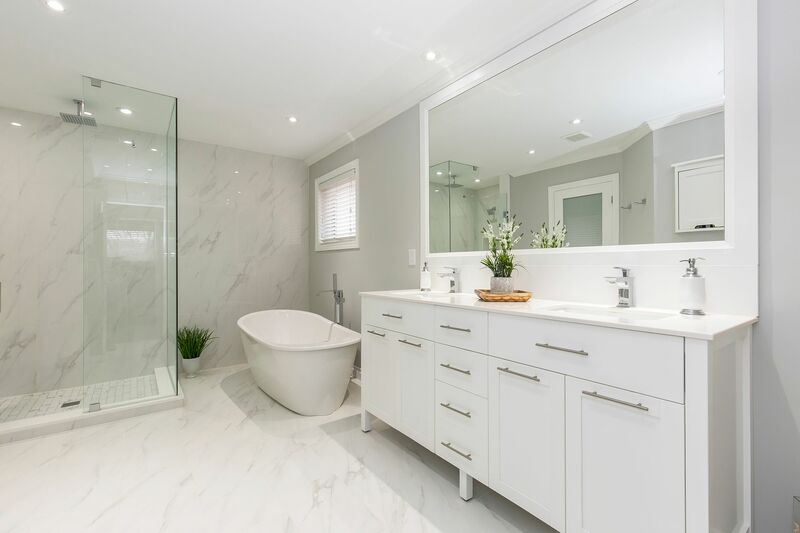 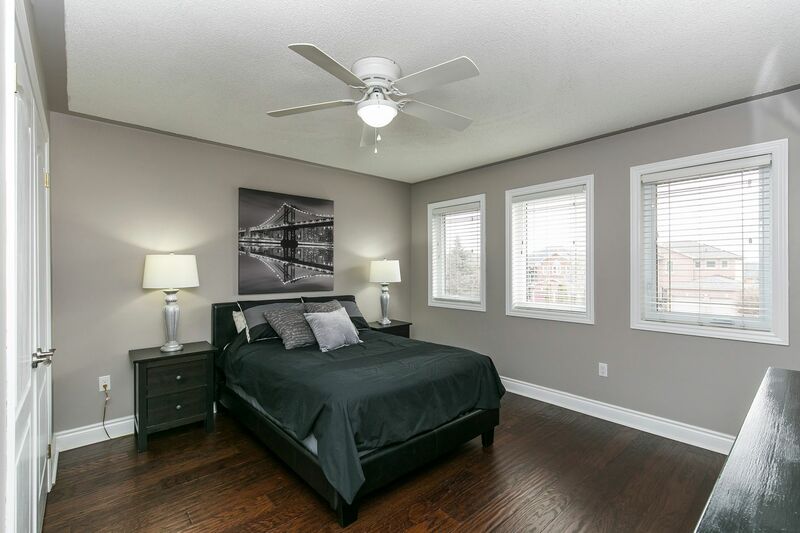 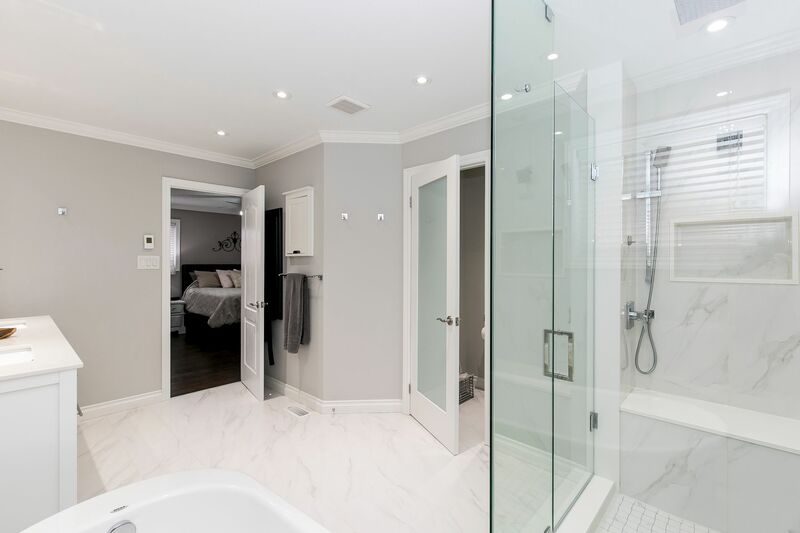 Beautiful oversize Master Bedroom with renovated luxury ensuite bath and walk-in closet. 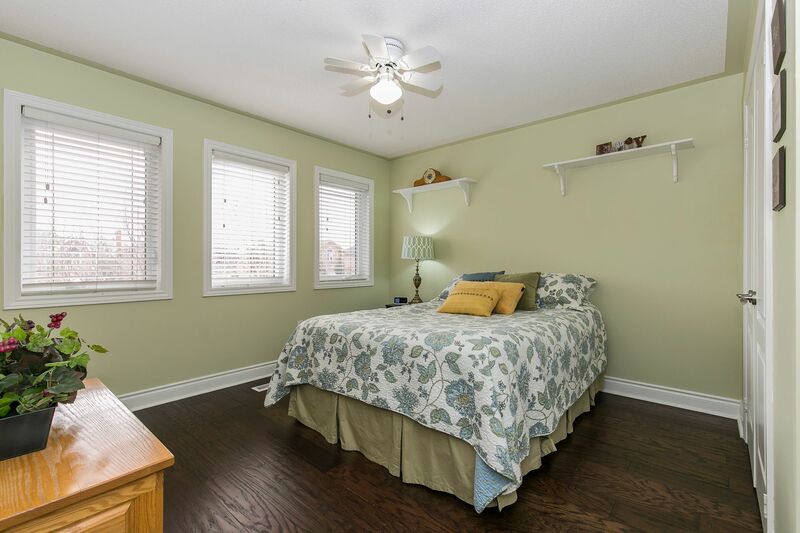 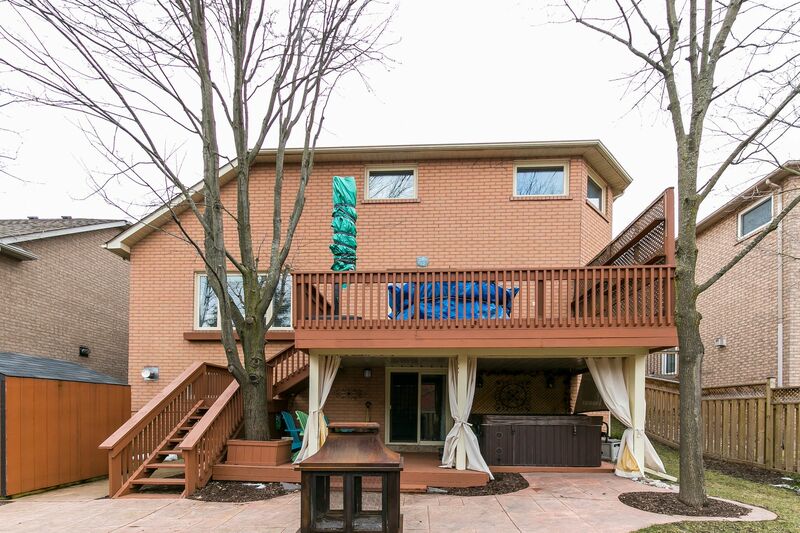 Three other large bedrooms on the second floor and a large basement bedroom with ensuite bath and walk-in closet. 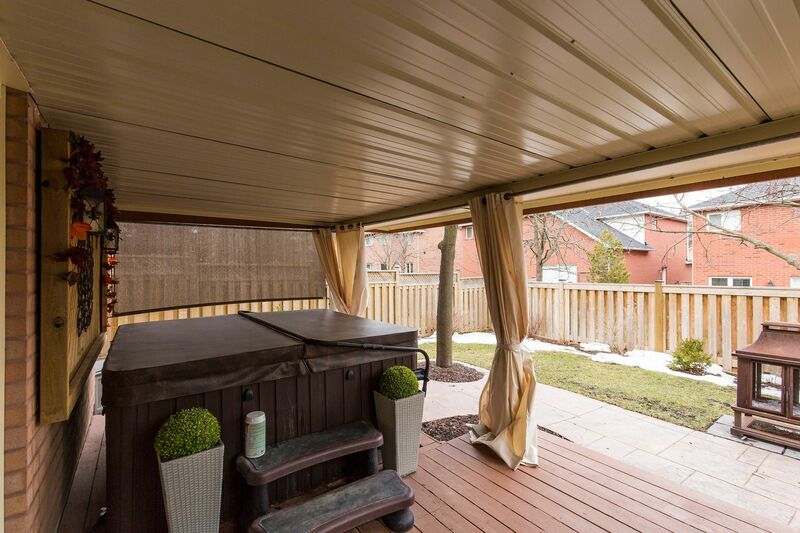 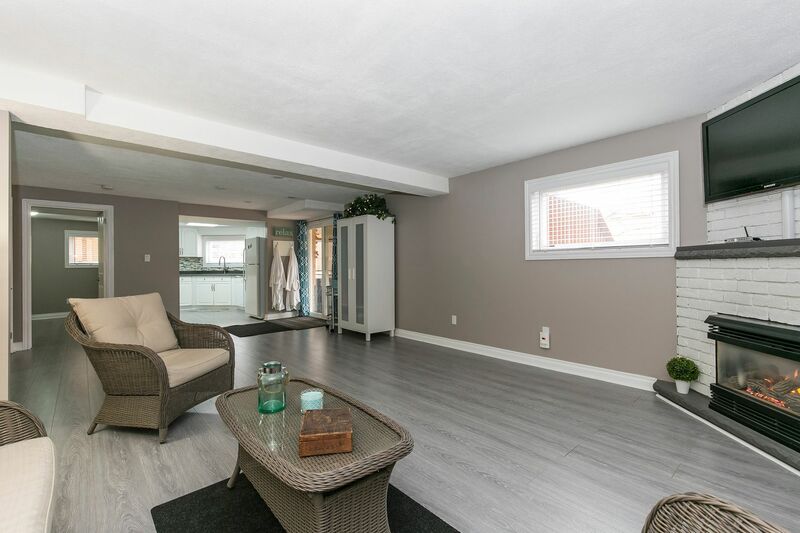 The lower level space, all with above grade windows, separate entrance and a walk out to the hot tub in the rear yard is the perfect Teen Retreat, In-Law space or for the large family looking for some privacy. 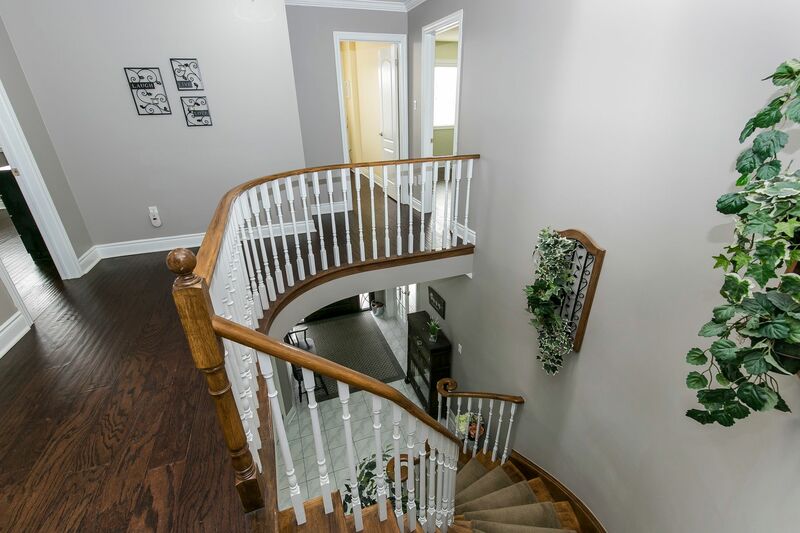 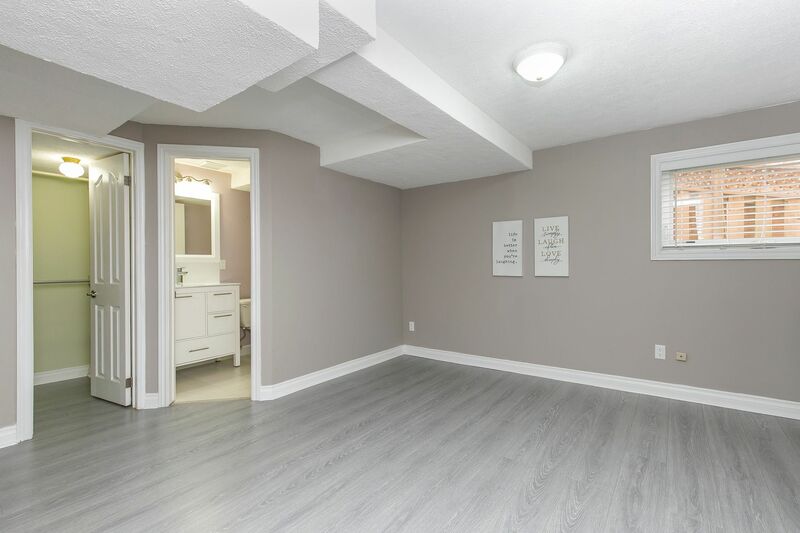 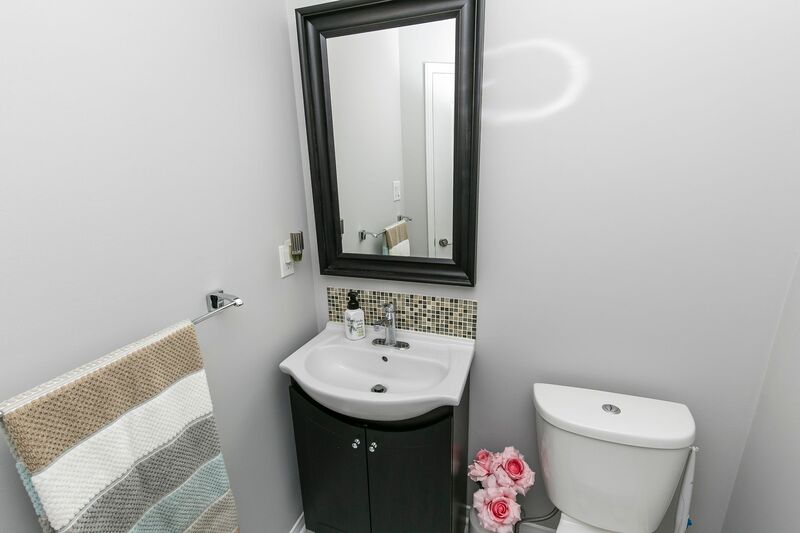 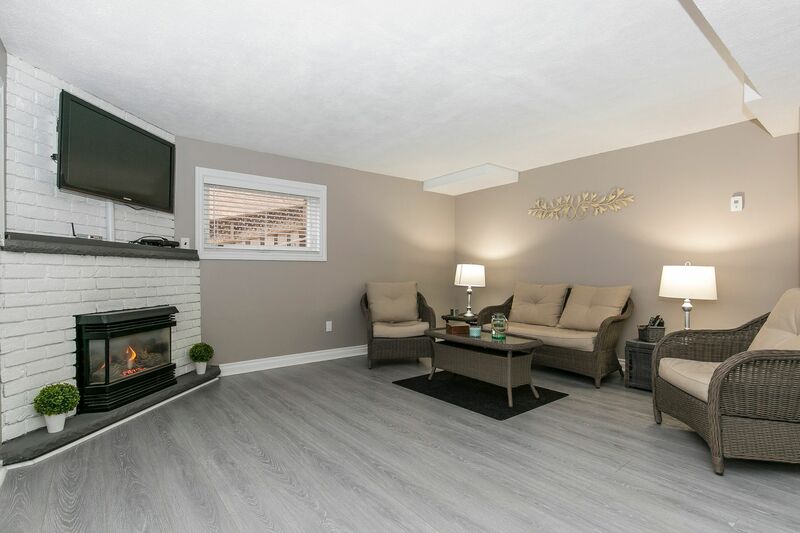 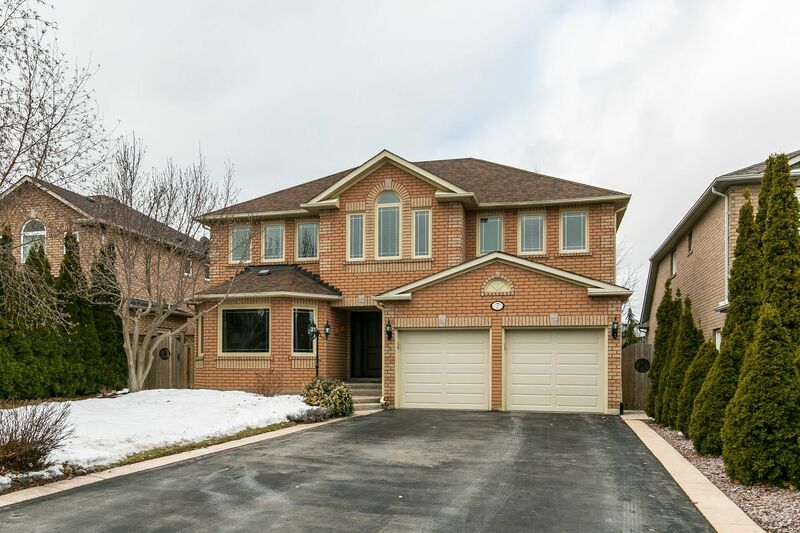 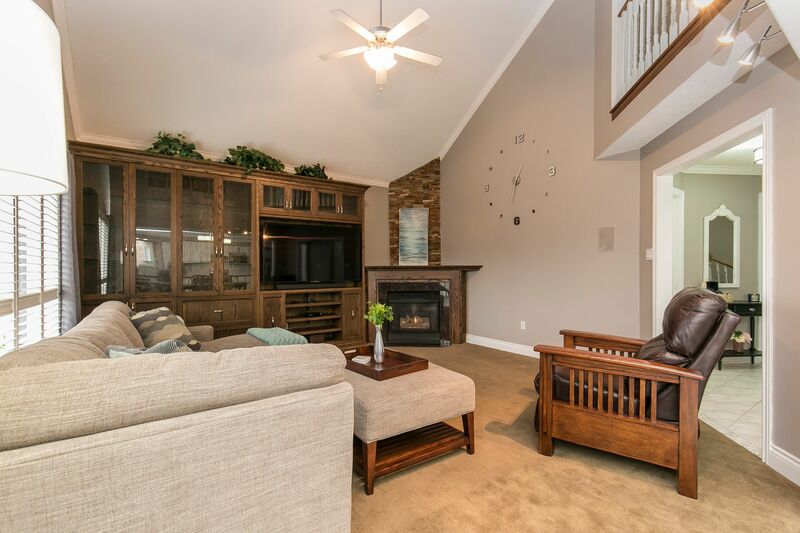 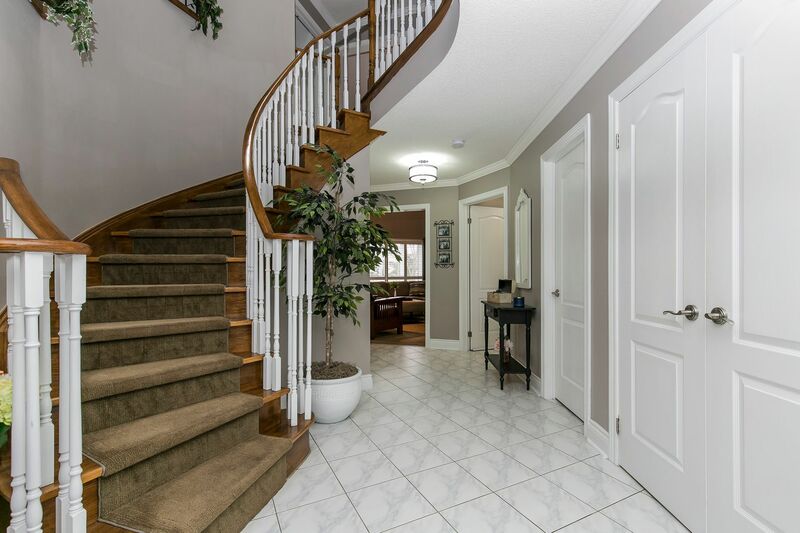 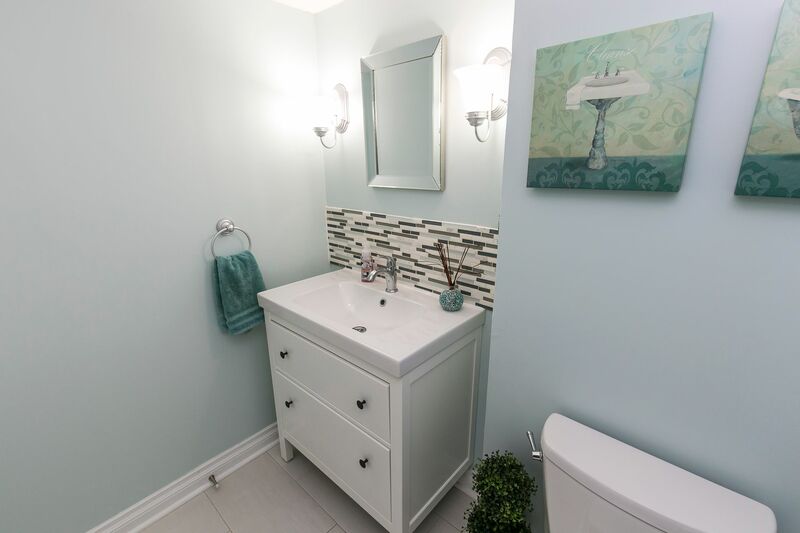 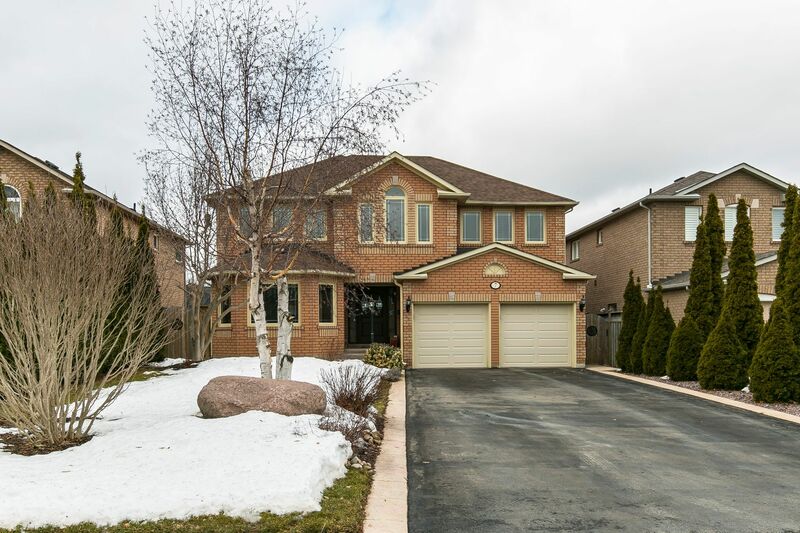 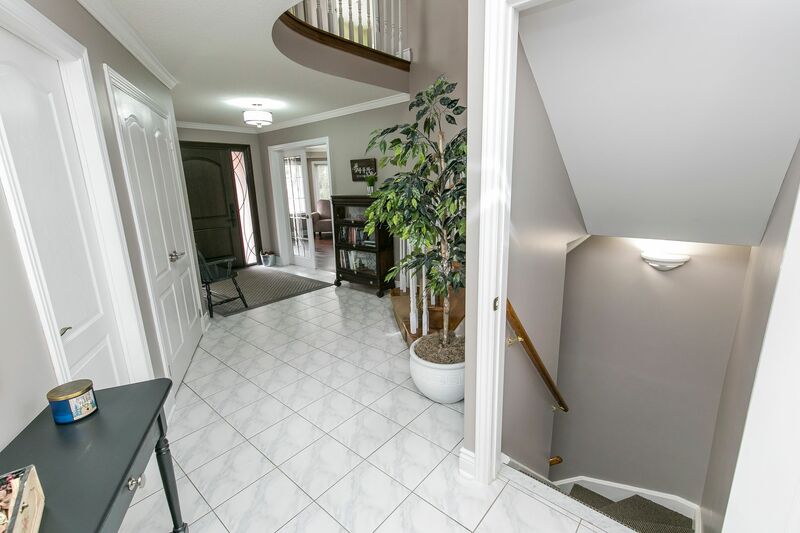 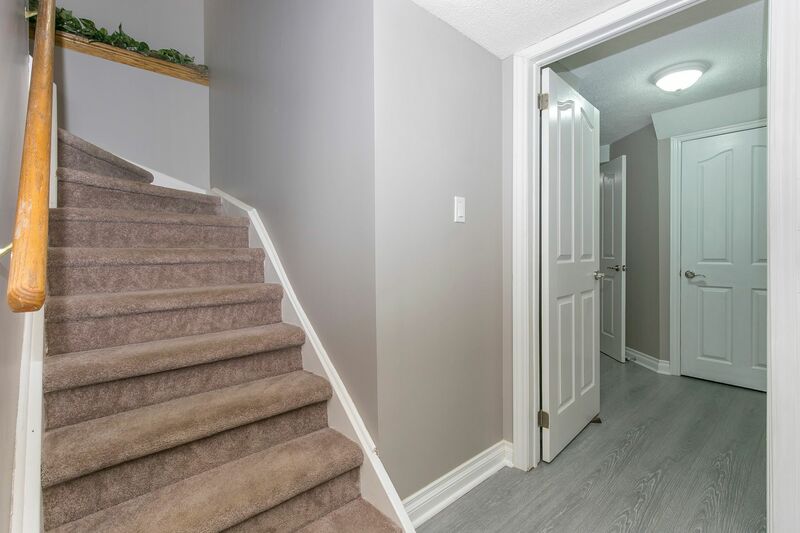 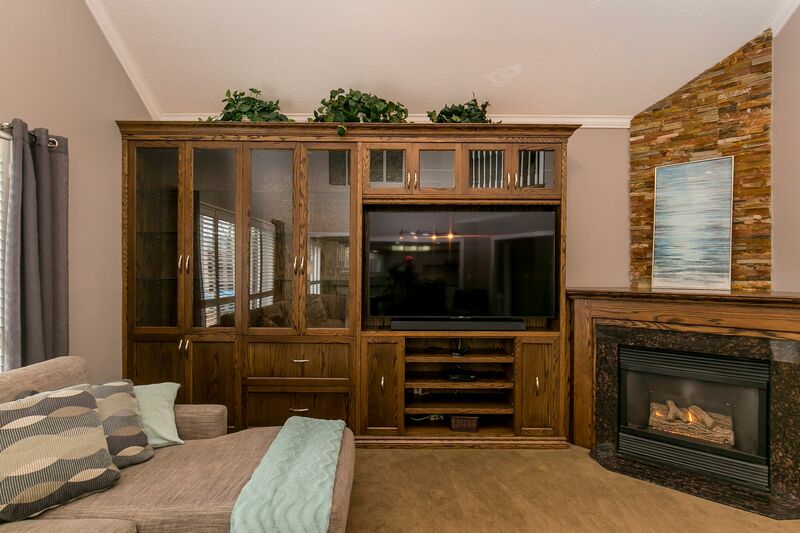 There is a rare two stairway access to the walkout basement space which comes complete with a full kitchen, powder room, large family room with gas fireplace and the aforementioned large bedroom with walk-in and 4pc ensuite. 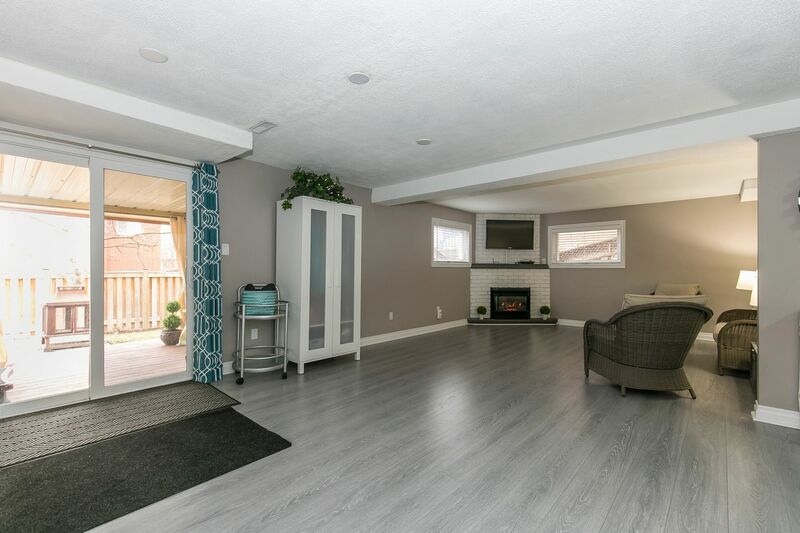 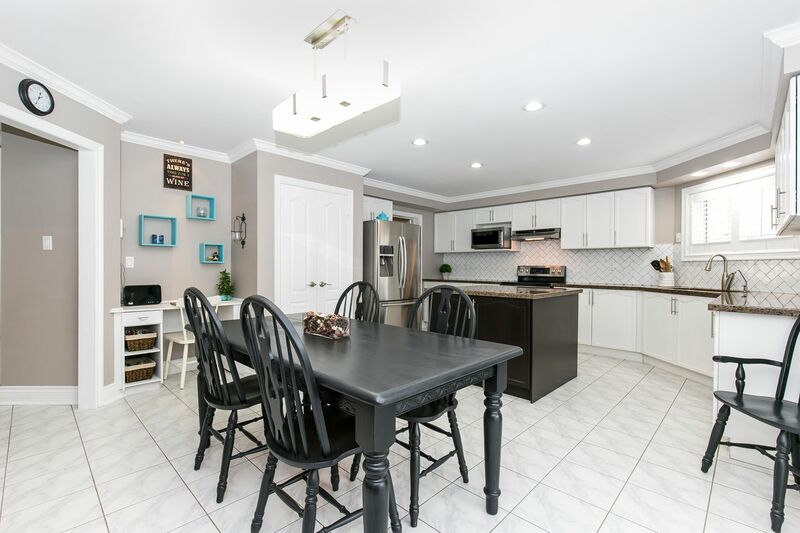 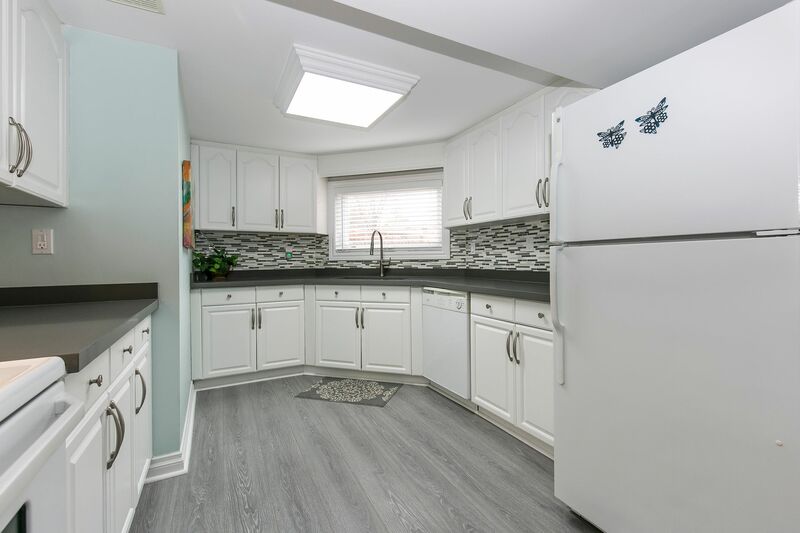 This home has it all with a workshop area in the basement, two separate laundry rooms and a large double car garage with both yard and house access and plenty of storage. 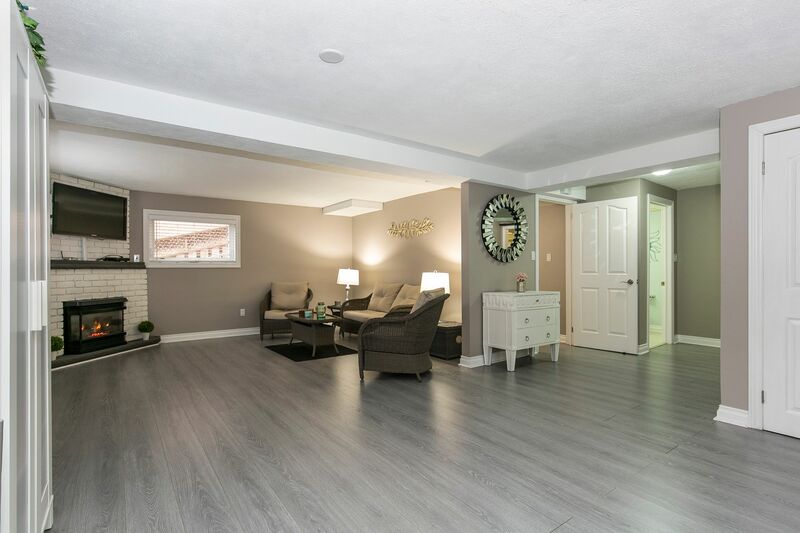 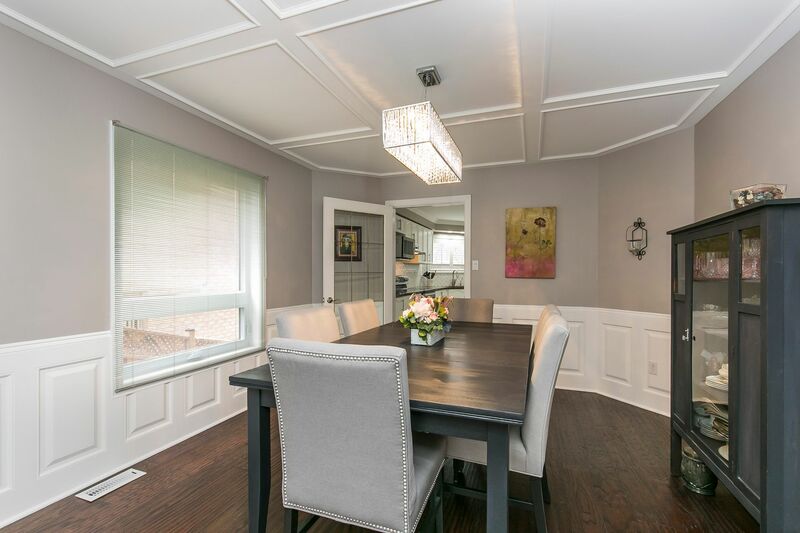 The Original owners have lovingly cared for and upgraded this home over time with upgrades to windows, roof, driveway, furnace, front door system, pattern concrete, huge deck, even the fence in 2016 and the hot tub and all the main appliances in 2015. 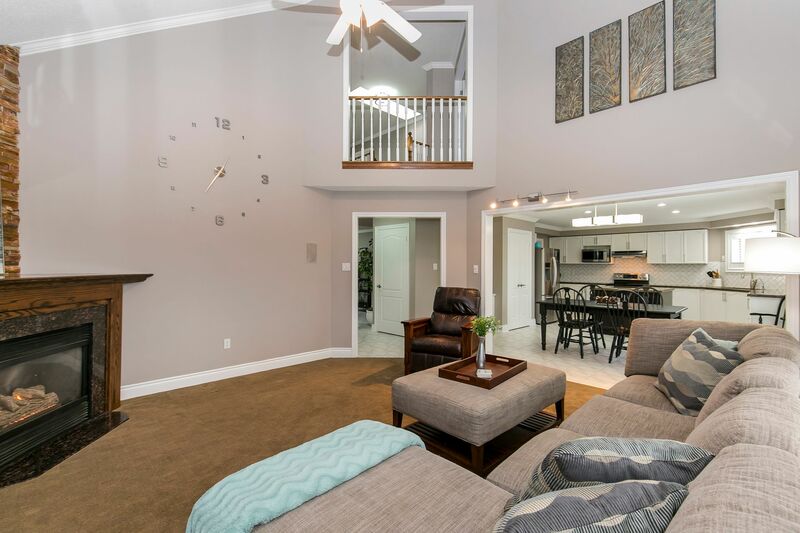 There is nothing to do but move in and enjoy peaceful Southeast Georgetown with its coveted commuter access. 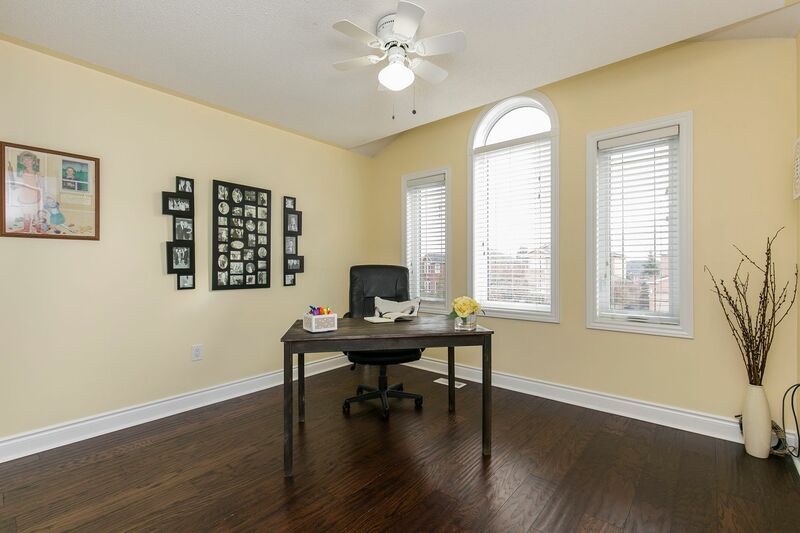 Main and upper windows 2006. 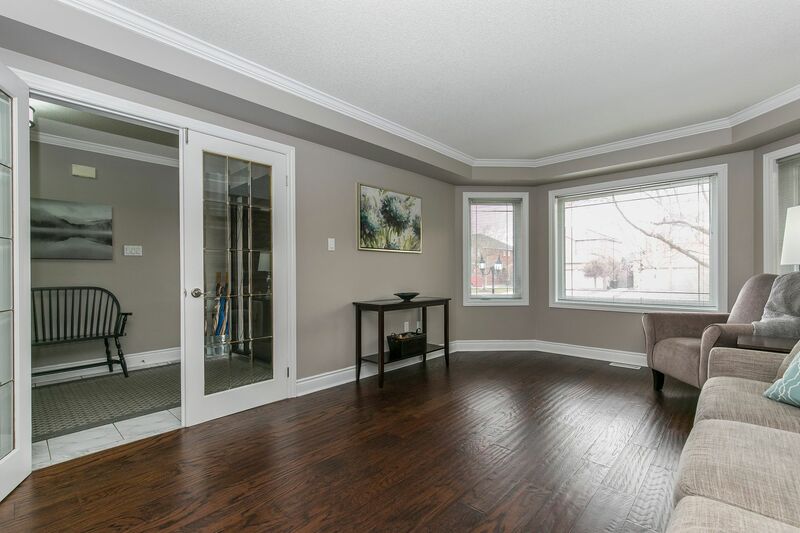 Basement windows 2016. 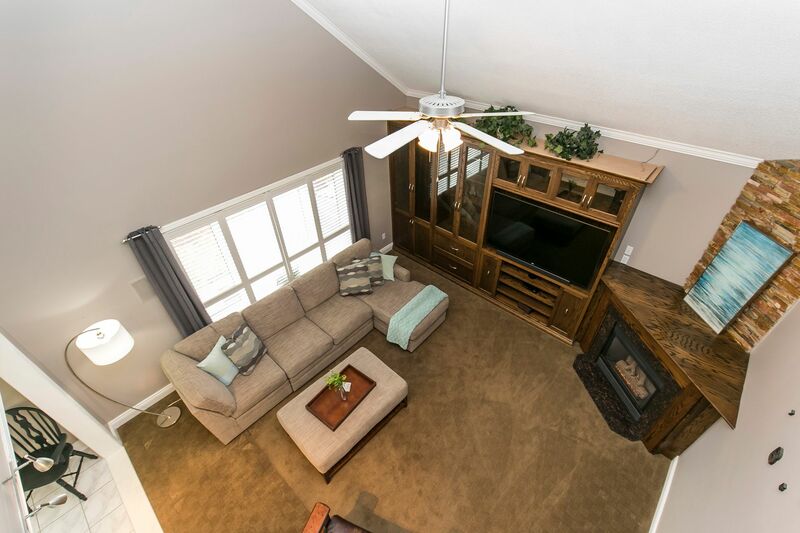 Roof 2016. 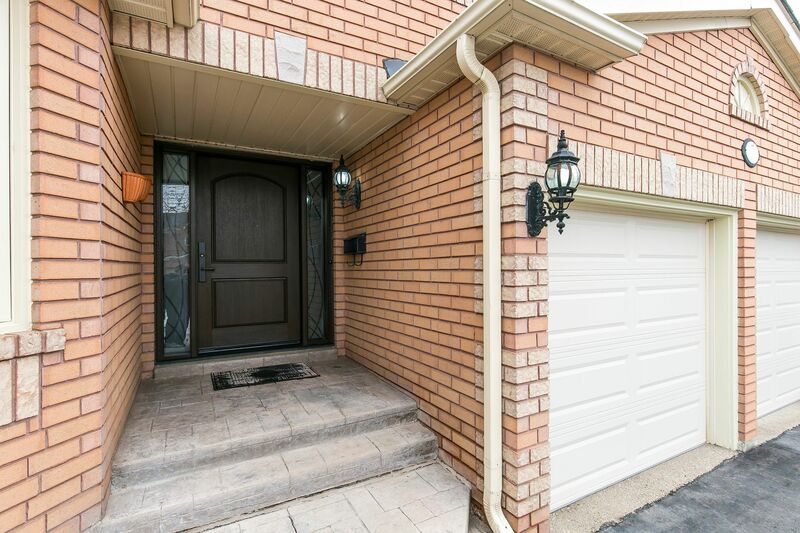 Driveway 2017. 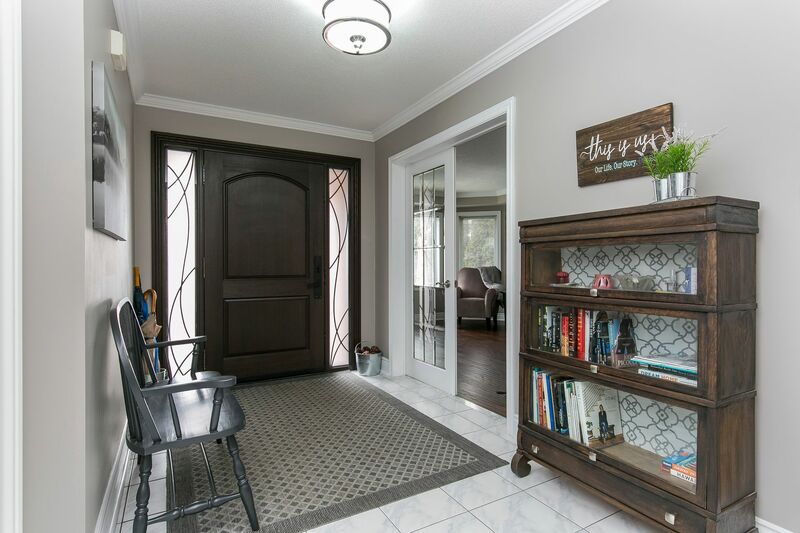 Front door 2017. 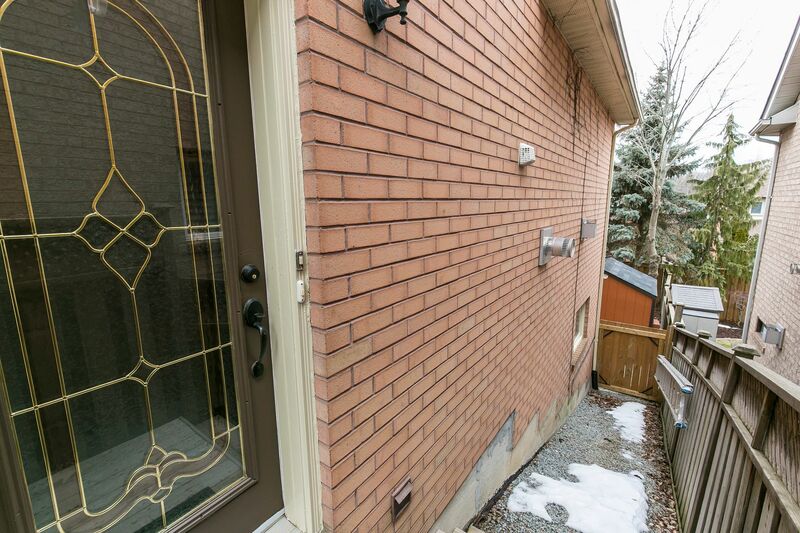 Furnace 2015. 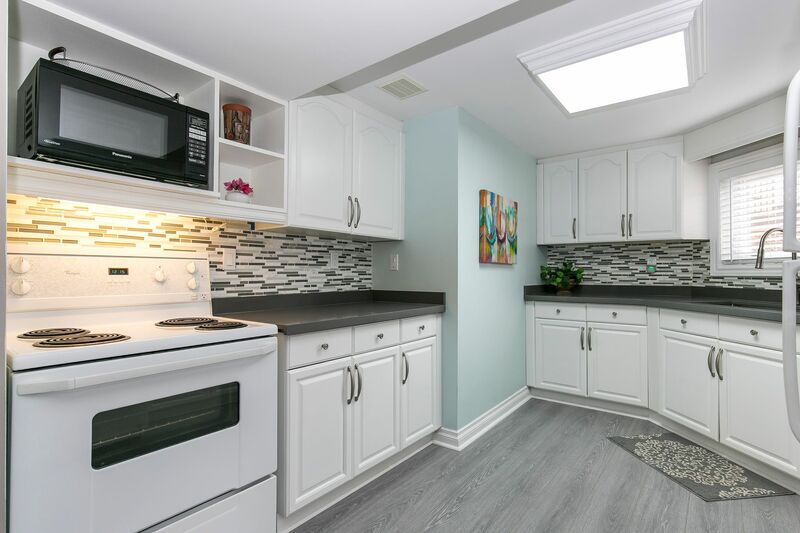 Appliances fridge stove dishwasher microwave washer dryer 2015. 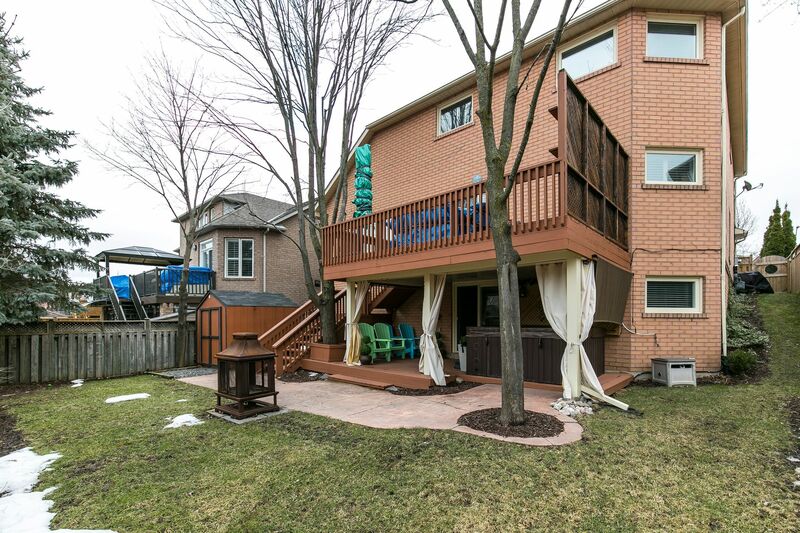 Deck 2016. 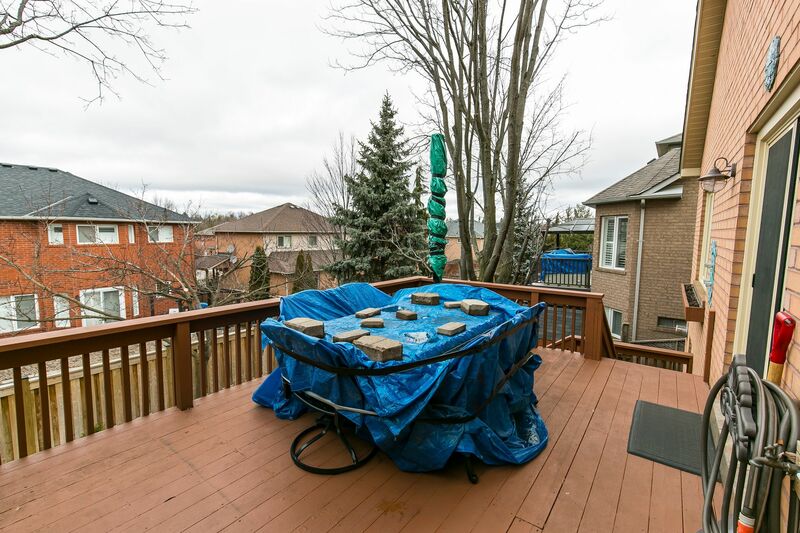 Hot tub 2015. 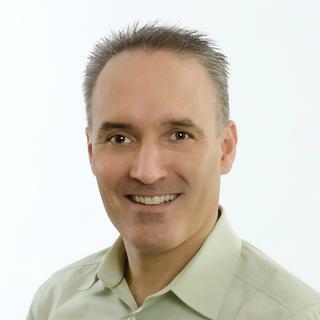 Fence 2016.